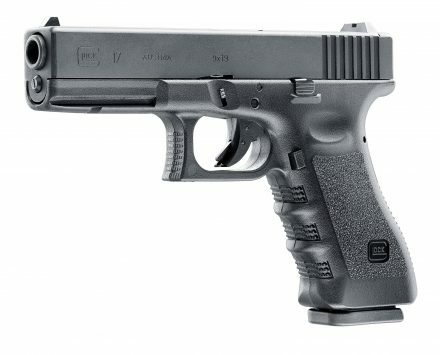 And when I said any model Glock, I meant it: that’s a Glock 35, which fires .40 caliber. Wouldn’t want to be on the receiving end of that. Thanks goes to The Firearms Blog. Available only to law enforcement and government, the Glock models 18 and 18c are 9mm pistols, almost entirely indistinguishable from the Glock model 17, except for their ability to go fully automatic. It seems this isn’t enough, for the ‘Doubleglock’ was born. 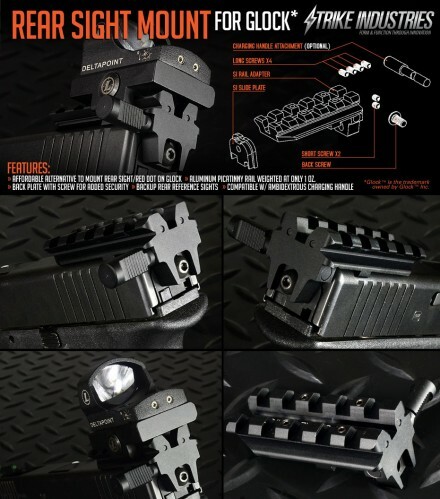 A custom kit that combines two Glock 18s, probably both 18cs, with a center red dot for accuracy. 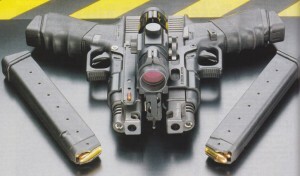 Although I find personally find little use for any full auto pistols, let alone two strapped together, I must say this is pretty clever. It should also win all your battles from looks alone. No one wants to be staring at the business end of this bullet hose.